The latest issue of the BOC Bulletin (Vol. 138, No. 1 – March 2018) is now available for viewing or download. You can view the table of contents, abstracts and references, full text or downloadable PDFs of individual papers at the BioOne Complete website. You can also view the table of contents and download a PDF for the complete issue on the BOC website. 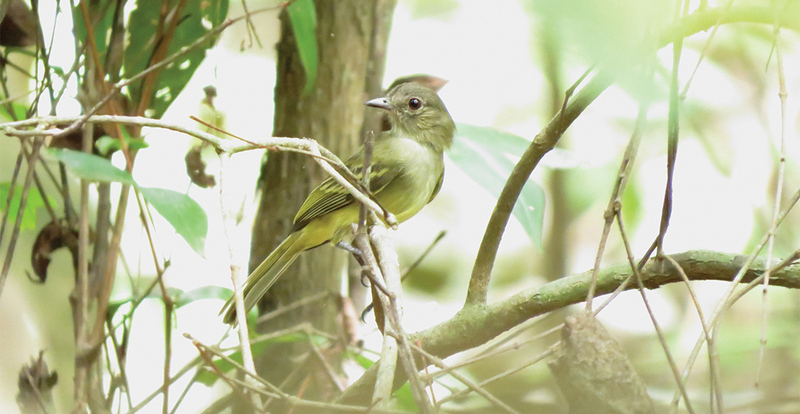 This issue contains five papers of wide interest from Range extensions for Yellow-crowned Elaenia Myiopagis flavivertex and Dugand’s Antwren Herpsilochmus dugandi in eastern Colombia by Wilmer A. Ramírez, César Arredondo, Ramón Carillo López, Andrea Lopera-Salazar & Sergio Chaparro-Herrera to a Preliminary assessment of community composition and phylogeographic relationships of the birds of the Meratus Mountains, south-east Borneo, Indonesia by Subir B. Shakya, Tri Haryoko, Ryan C. Burner, Dewi M. Prawiradilaga & Frederick H. Sheldon.